Two giant pandas will meet with the public in Nantong, East China’s Jiangsu province, on the first day of the Lunar New Year, which falls on Feb 5. 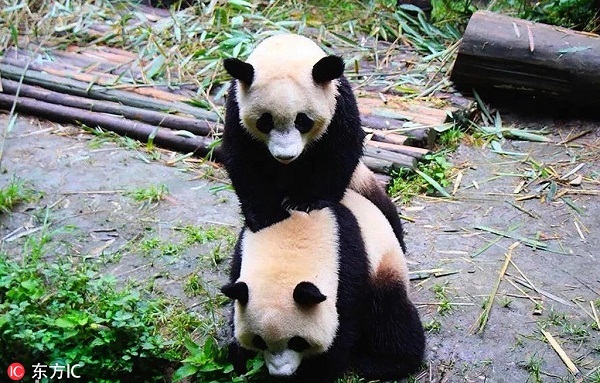 The twin pandas, named “Xinghui” and “Xingfan”, both 2 years old, are the first pandas to settle in the coastal city. They arrived at their new home in Nantong Forest Safari Park after taking a flight from their hometown in Chengdu, capital of Southwest China's Sichuan, on Jan 22, and will stay in Nantong for the next five years.